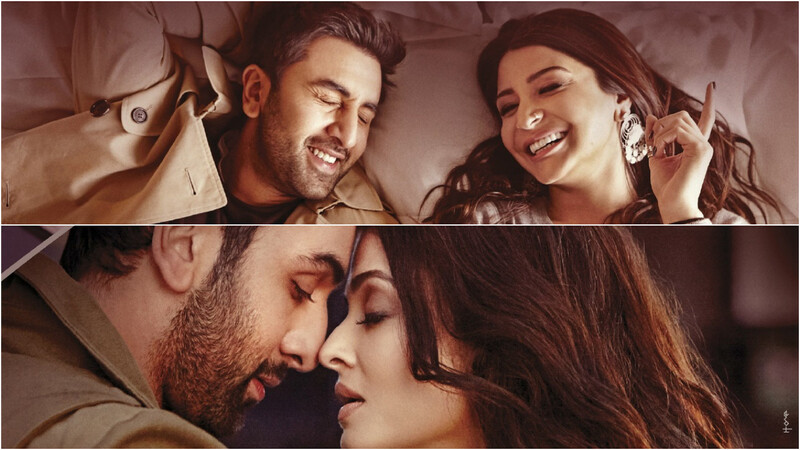 HOME / TRENDING / AE DIL HAI MUSHKIL TEASER IS OUT AND WE JUST CAN’T TAKE OUR EYES OFF IT! Karan Johar’s Dharma Productions in association with Fox Star Studios just released an awesome teaser today morning. Starring Aishwarya Rai Bachchan, Ranbir Kapoor, Anushka Sharma and Fawad Khan in lead roles, the teaser is out and promising than ever! This is the kind of teaser that gets etched in your mind and here’s why! Hands down, this beauty completely steals the show. She looks every bit of ravishing in every part of the teaser. She is breathtaking right from the first scene to the last, period. Even though the singer’s voice does not suit Ranbir much, the song that plays from the first scene to the last and goes along with the entire teaser, we like it! It goes well with the theme of romance and drama that is supposed to stick through the film and we can’t wait to listen to more songs from this album of Pritam! Although there is Anushka and Ranbir in the film who have already starred together in the 2015 Bombay Velvet by Anurag Kashyap, we have another really fresh pairing! The beautiful, the gorgeous, our Miss World Aishwarya and our chocolate boy Ranbir! We love how Karan has not cared much about the age gap between the two stars and kept it as real as possible. PS Their chemistry is sizzling too! Anushka’s look and how! The sheer chirpiness in her role, the nose ring and her free bird kind of attitude with those clothes; total winners! We love, we love! Karan Johar’s film after ages, finally! After giving us hit movies like Kuch Kuch Hota Hai and Kabhie Khushi Kabhie Gham amongst others, we’ve literally been waiting for all these years for something that looks atleast half as promising as those movies and we think the wait was probably worth it! ‘Cause this one looks absolutely stunning and we can’t wait till its Diwali release!